Ten years ago, paid media dominated the marketing sphere and companies had more power to influence the purchase decision of customers. Today, however, customers have access to most of the information about the products and the services offered to them. So, it is becoming increasingly difficult for companies to influence the purchase decisions of the customers and they are coming up with more creative new ideas to do so. One such idea is influencer marketing. Wikipedia defines influencer marketing as a marketing tactic that focuses on using key leaders to drive your brand’s message to the larger market. Who are these key leaders or influencers? Who has influenced you the most – Shah Rukh Khan, Narendra Modi, Indra Nooyi or your friends, peers and your favourite blogger. According to McKinsey, you’re 50x more likely to trust a recommendation from a friend than from a celebrity. Influencers need not be famous, but knowledgeable and accessible so that they can put forth your brand’s message because today, brands are the sum total of what others say that you are. Based on a study by Nielsen, 90% of consumers trust user-generated content while only 33% trust paid ads. Influencers operate on an H2H (human to human) model. Their audience chooses to follow them, engage with them and is confident about their choices. Thus, they add a more personal touch to brand and customer interaction and helps build a relationship between them. How to use influencer marketing? 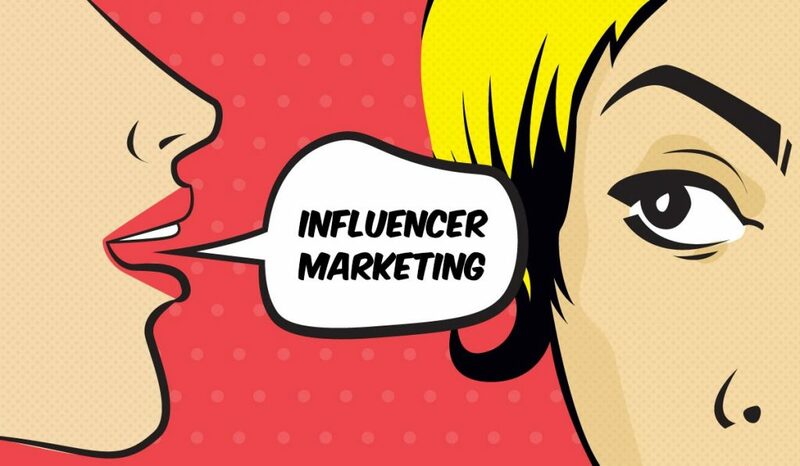 The 3 R’s of influencer marketing i.e. Reach, Relevance and Resonance affect the influencer strategy. Valuable influencers have an above-average reach and impact on their followers. The influencer’s values should be relevant to that of the brand’s image so that he shares the same culture and demographics with that of the brand’s target audience. Unless there is a resonance i.e. engagement between the influencer and his followers, the content won’t get retweeted or shared or liked again and again. Higher EMV(Earned Media Value) is essential to create future brand advocates. How to make Big Data work in Influencer Marketing? With more than two billion social media accounts, the amount of content created by the users is enormous. So, marketers have a tough time in finding the influencer who fits perfectly with their 3R and doing so before their competitor signs up that influencer. Analysing hashtags and conducting manual searches on social media alone won’t get the job done. Analytics can not only provide a targeted and detailed analysis of the influencers, but can also analyse and classify their audience which in turn will highlight the strength of each influencer. Keywords, sites visited by audiences when they search for items etc. helps companies develop strategies that will affect their influencer marketing campaign. Hence, companies need to use Data for Predictive Analytics and Data Generation from Social Networks and correlate them to social media noise. Correlation would help them decide whether to end or start a campaign. A decade ago, it would have seem laughable for someone to have a million followers on social media, but now, brands are focusing all their resources in finding these ‘someone’, negotiating with them and building relationship with them. With AI(Artificial Intelligence) as another trend to look out for, could influencer chatbots be the next big thing in marketing landscape?